Nintendo is out of control and we are loving it. The line-up of games that Nintendo has released for this beloved console has gained a new found respect and admiration from the gaming community. Combining the living room console and the handheld into a small and reasonable package was pure genius and since launch, this console has been unstoppable. The console is especially popular among those who travel or don’t own a living room gaming setup or wish to play in a non cluttered fashion. Game Boy series have always been amazing but there was always this issue of not having high end games on the device and the company tried to make it so but the hardware was simply not there in terms of technology available back then. Now, however, it’s a whole new ballgame and we have a pure hybrid console named Nintendo Switch. 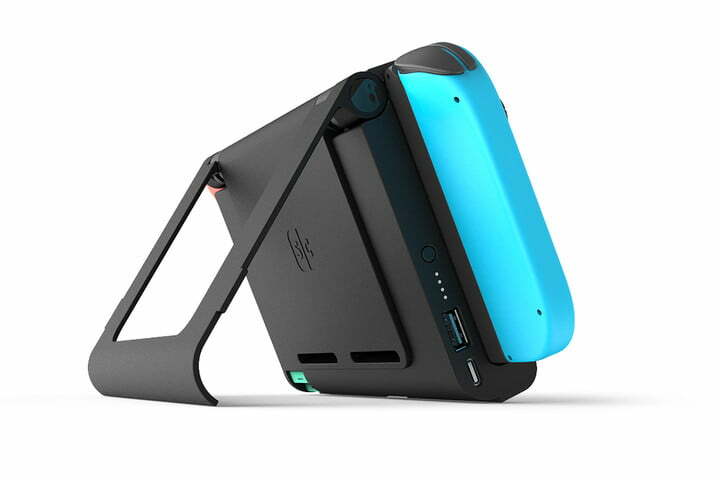 There are some minor cons to this device though, battery life being the number 1 issue for the gamers on the go. 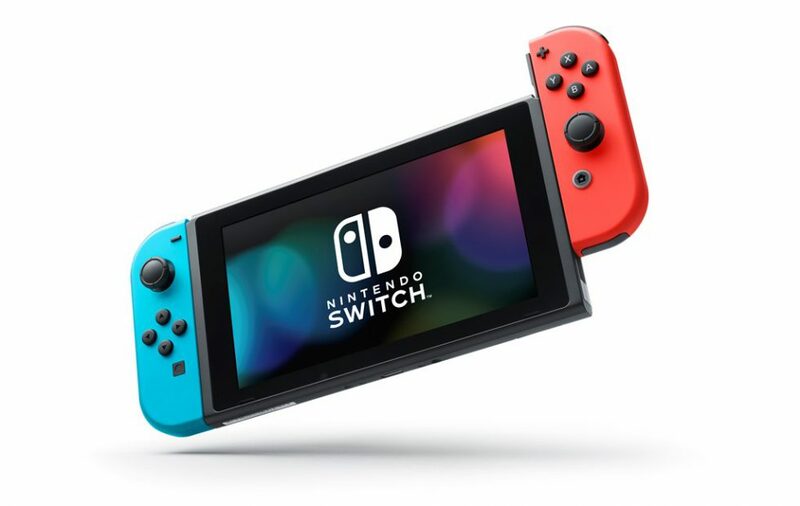 At launch the official word was that the console can achieve from 2.5-6 hours of handheld gameplay, depending on the graphic levels of the game. 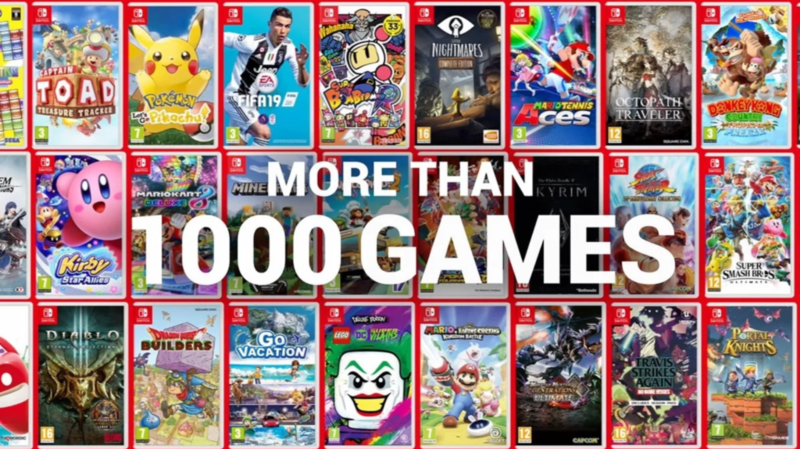 A decent number but testing showed lower and in some cases lower than 2 hours of gameplay while playing Triple A titles like ‘The Legend of Zelda: Breath of the Wild’. 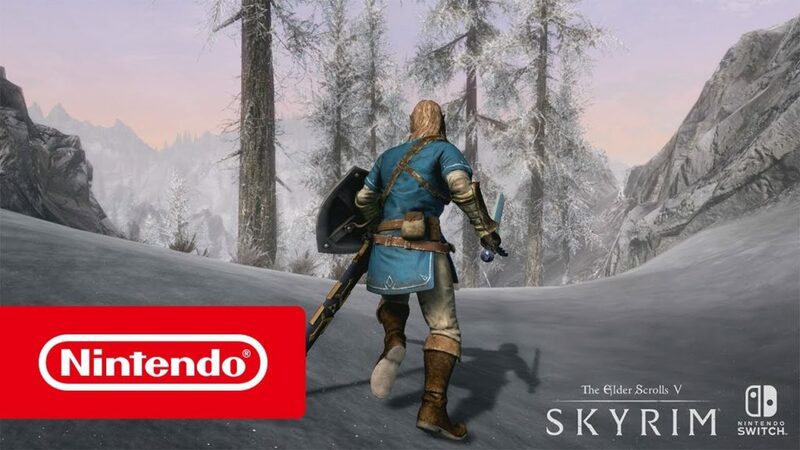 Meanwhile the developers are on a rampage to release games one after another and even remaster some titles for the Switch like ‘Dark Souls Remastered’ and ‘The Elder Scrolls V: Skyrim’ and we are loving every second of it. But, we could only play for so long before looking for the nearest outlet to plug the device in. 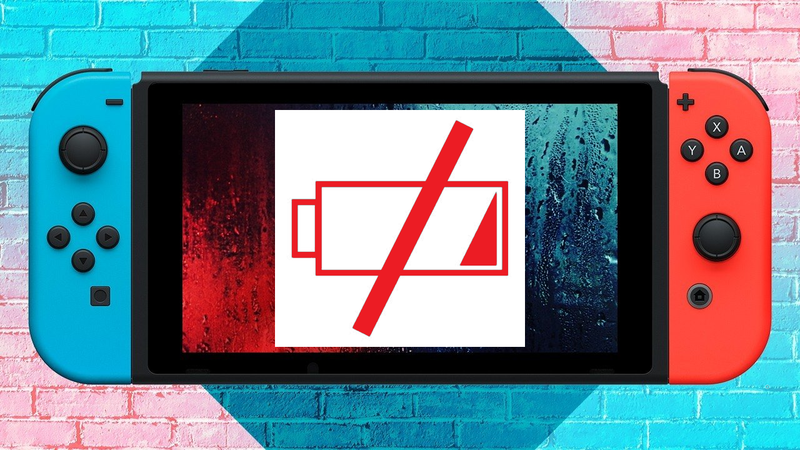 We have lived in the dark ages long enough because now we have a solution to fight that ‘low battery sign’. With a mid-sized 5,000mAh battery pack, dual top and bottom locking mechanism and USB-C cable included in the box, you can’t go wrong with this purchase. It’s the lightest two-part case out there and it is not as expensive either. 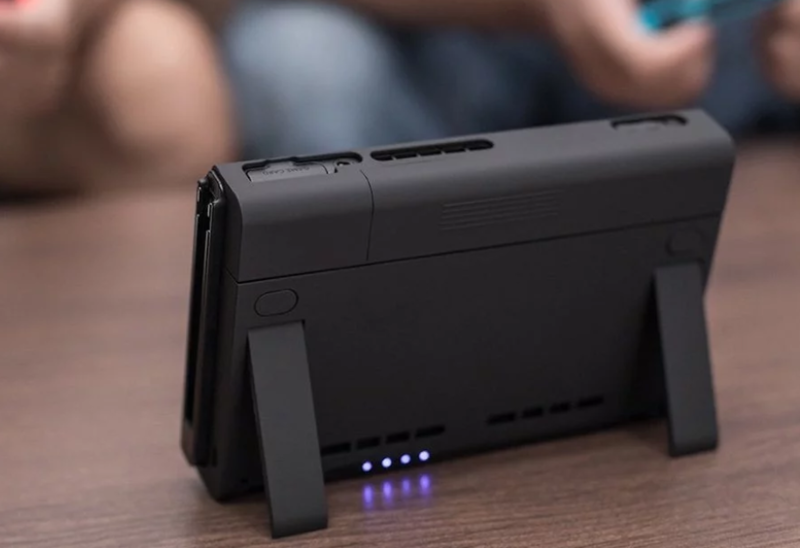 6,500mAh battery, Battery indicator LED lights, USB-C port that charges both the Switch and the case, carries a storage compartment that can house two game cartridges and two kickstands. What’s not to like. 10,000mAh, provides Switch with 10-12 hours of battery and can serve as a power bank to charge another device via USB-A port. Discrete design with battery indicator lights and a USB-C as well. 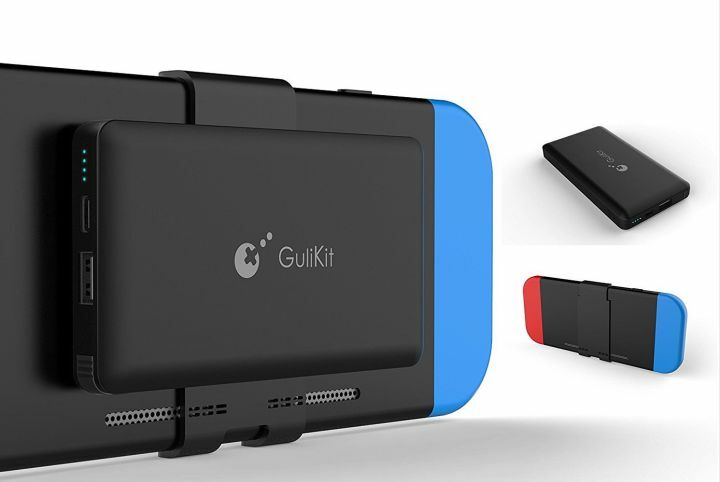 10,000mAh battery capacity with adjustable kickstand, USB-A port to serve as a power bank to charge cellphone etc, storage for two game cartridges. A premium case with more to offer. 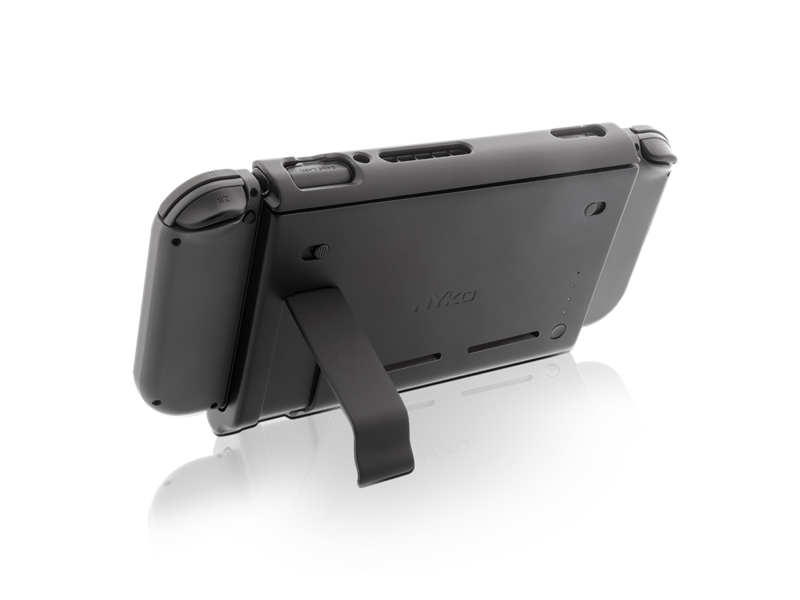 With these amazing battery cases, your game time will improve significantly, now that online multiplayer games have arrived on Switch (Fortnite), you might want to put in that extra hour to gain that long awaited win.